Italy: Start your journey in one of the bases along the Italian coast, well equipped and perfectly maintained offering an impecable services and facilities for tourists. Get yourself prepared for sailing along this beautiful coast from lavishly equipped marinas. If you decide to spend pleasant nautical holiday and hire a motorboat, sailboat, motor sailer, skippered or exclusive crewed mega-yacht, or custom made motor sailor in Yacht Charter Italy fleet please fill our charter booking inquiry. Contact us if you are interested in buying a boat. Yacht Charter Italy - yachtcharter and yacht broker companies offers a wide range of yachts for rent, from small sail or motor bareboats exquisite spacious powerboats, sailboats, catamarans and motor sailers to luxury sailing or power mega yachts. Yachting and cruising in the Adriatic, Ligurian and TyrrhenianSea and visiting Italian islands and coast can be even more pleasant if you instead of bareboat hire our crewed motoryacht or sailyacht with skipper or even with crew. Exclusive megayachts can be chartered from Italy, Croatia, Greece and Turkey. Among all other charters we brought yacht rental offer to a highest level and the result is one of the newest and the best maintained charter fleet in the Mediterranean. If your holiday budget doesn't allow luxury motoryachts, try to find your perfect bare boat on last minute charter price list. Except chartering we offer yacht brokerage, charter management program and yacht management and maintenance. 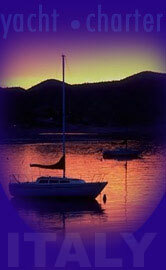 Through our company you can sell or buy used private sailboat, powerboat or catamaran. Worldwide Yacht Charter - Browse through our offer of charter websites from all around the world and find a perfect destination for your vacations. Copyright Yacht Charter Italy, 2019 - all rights reserved.